Shin-Chan & Ryusoul Red Dances To Ryusoulger's Ending Theme! Check-out this new dance team-up by Shin-Chan and Ryusoul Red to the tune of "Que Bom! Ryusoulger!" 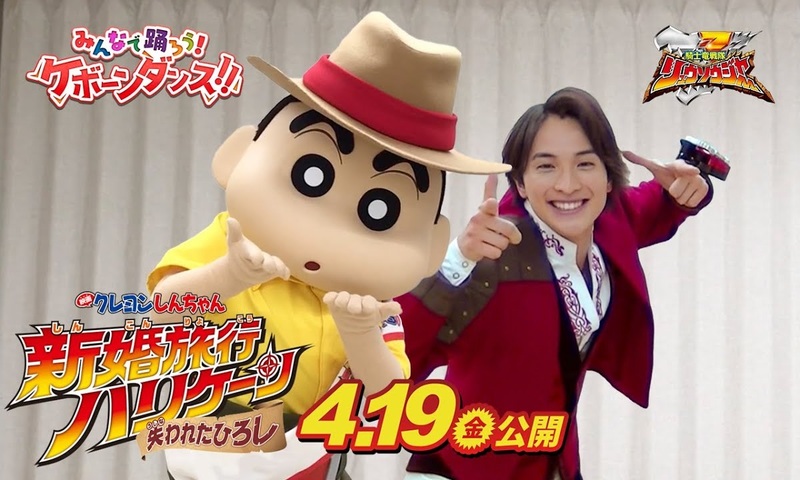 promoting the upcoming Crayon Shin-Chan: Honeymoon Hurricane -The Lost Hiroshi- movie which will be released on April 19!